1. 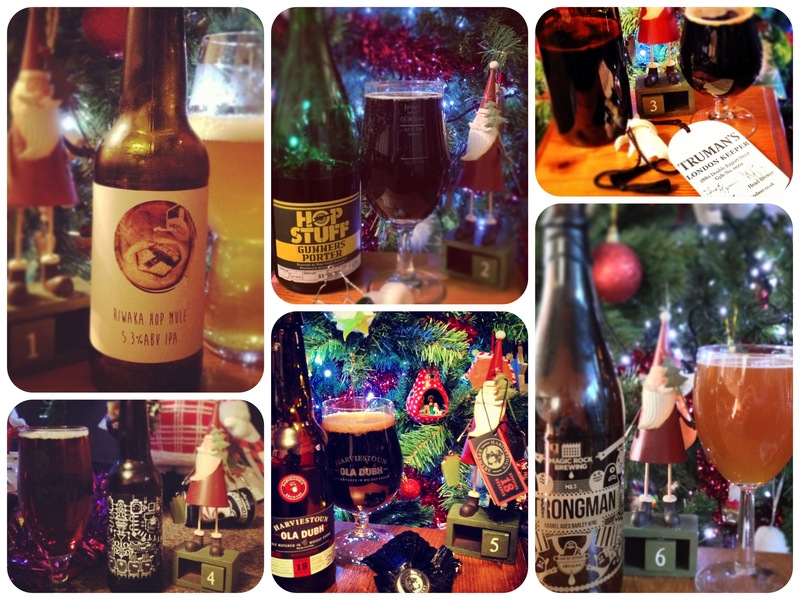 The Bloggers – those who blogged along with the #12beersofxmas on their own sites – please check out their individual reviews by clicking on the links to their sites. 2. The Commentators – those who added detailed reviews each day on our website – you can view these comments on each day of the blog on our website. Deeekos – take a bow! But what about the beers? Well, based on nothing scientific at all, this is how I would rank my own personal #12BeersofXmas (click on each entry to read the full review). Feel free to add your own rankings below. 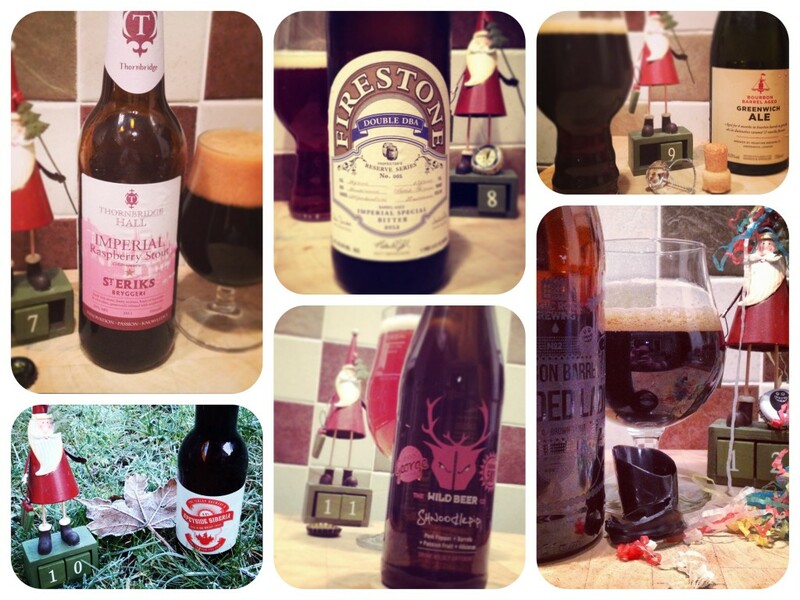 So that’s it for the #12BeersofXmas (2013). I’m now having a month off the booze and raising money for Cancer Research UK at the same time – please consider buying me a drink to help me reach my target (and to keep me dry) by clicking here. Season 4 of the show starts on Friday 7 February 2014 and we have the Sheffield Crawl on Saturday 8 February 2014. In the meantime, you can read about my Dryathlon challenge in my ‘Dry Diary’ that will be appearing on the site soon. Nice writeup except the web address of my blog is slightly incorrect but I’m sure those that want to read it have already done so. It really was a lot of fun and whilst I am having a weekend without beer now that will be my limit. Already been too long since I’ve been in a pub. Cheers one and all. The link worked though at least 🙂 Changed now – cheers for being part of it. My last post bids farewell to what has been an enjoyable exploration into some fantastic new (to me!) ales over the festive period. However as a dual purpose send off, it also announces my beer of the year…yes I saved the best ’til last! Love ’em or hate ’em, Brew Dog can certainly be described as beer innovators. Hello My Name Is Sonja is one of their countless limited edition beers, a continuation of the “Hello My Name Is……” theme, released earlier this year in collaboration with trendy Brooklyn (or is it Denmark!!) brewers Evil Twin. I’m not normally one to judge a book by its cover, but this bottle practically screamed by name! Bright pinky red and impossible to miss, it had to be done – who the hell else wouldn’t try a “blueberry double IPA”? . From the moment the cap comes off the bottle there’s a zingy exotic fruity aroma. And then there’s a glorious, clear, peachy coloured liquid with it’s bubbly head. On to the main event, and it’s clean on the tongue, light, refreshing and insanely fruity. There’s a surprisingly smooth and creamy aftertaste, keeping the flavour alive. Have I mentioned yet that this ridiculously easy to drink brew is no less than 8.2%! No gateway drug this is the real deal, approach with respect, reverence and caution. This is my last bottle and I’m already suffering withdrawal symptoms. Unusual, innovative, slightly bonkers, this is one of, if not the most memorable beer I’ve had all year. Thanks to Steve for inspiring me to get involved, I too am off the beer until Feb now. Let me know what your first beer of Feb will be, maybe I’ll join you over the net for a long distance pint!